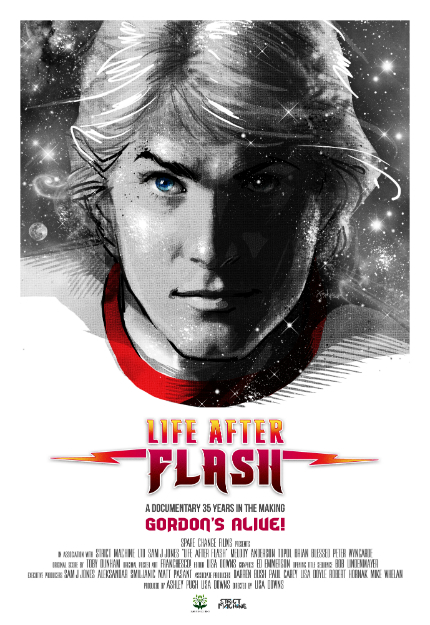 This past fall at Fantastic Fest, I watched Life After Flash, mostly because it was slotted before a screening of Flash Gordon (1980) in 35mm, but also because I was curious about Sam J. Jones, who embodied the comic book hero to the nth degree in Mike Hodges' big-screen adaptation. Jones plays Flash with a great deal of sincere charm, and Lisa Downs' documentary is equally charming, providing detailed backstory on the making of Flash Gordon before exploring Jones' meteoric rise and then his declining aftermath. Despite what that might imply, however, it's anything but a sob story. As he demonstrated in a lengthy post-screening Q&A, Jones is very much alive and well, and he is an amazing storyteller. We get a good glimpse at his charm in the trailer for Life After Flash, which you can watch below. The film is heading for release on February 26 from Cleopatra Entertainment.